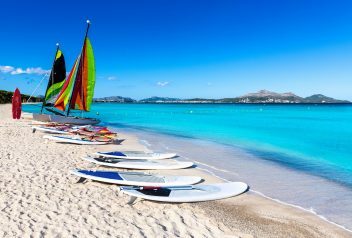 Magaluf was solely built as a holiday resort and is a popular holiday resort for the people who are seeking a cheap party from the time they arrive until the time that they leave. It has an array of night clubs and bars that serve exotic cocktails and other drinks. 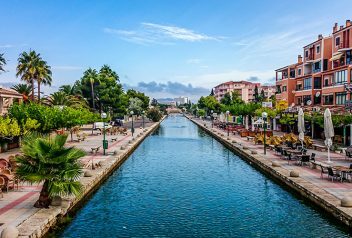 Even though it has gained a reputation for being a place where there are pub crawls and the young people losing their inhibitions there is actually much more to Magaluf. 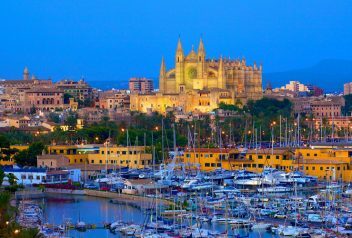 If you are young and single and want to go and have a good time with your friends then it will be hard to beat Magaluf. 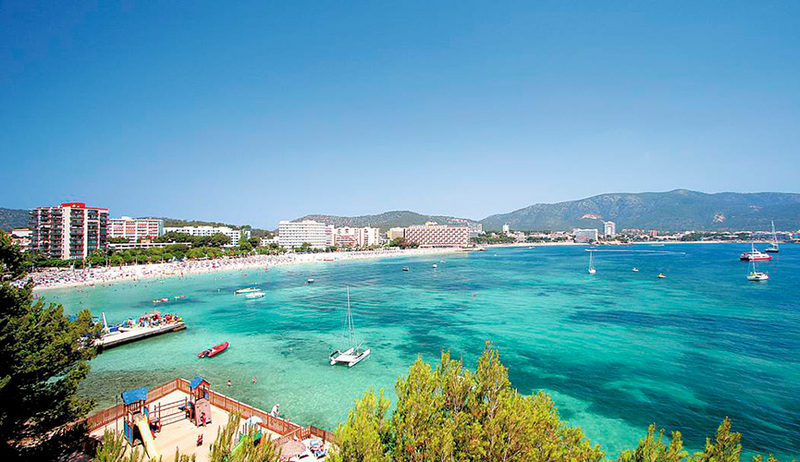 The beach at Magaluf stretches for over 900 meters and is deep enough so that everyone can find a spot to sunbathe. The sea is very inviting with its clear blue-green colour and there is a new promenade that backs onto the beach. The promenade is lined with bars and cafes as well as souvenir shops. Water sports are very popular and you can enjoy jet skiing, banana rides, paragliding and pedalos. 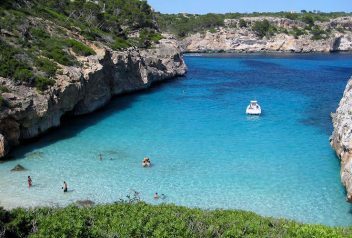 The beach stretches onto the Palma Nova beach where there are scuba diving lessons if you are planning to go diving. Magaluf has one waterpark which also offers other activities such as falconry shows and a professional diving display. If you want to practice surfing there is a wave machine that you can enjoy in the Warehouse. There is a carting track that caters for the whole family because participants as young as three can take part. The biggest attraction is the Pirates Adventure Dinner Show which consists of live music, comedy, some excellent acrobatics and other adventures. This is a perfect outing for the whole family and the show includes food and drinks. In Magaluf, there are over a hundred bars to choose from and it is not difficult to find bars that are offering specials because the competition between the bars is very competitive. There are plenty of happy hours or buy two and get one free offer. 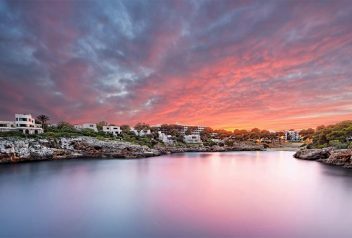 These bars are mostly located along the Punta Ballena and you can join one of the many organised pub crawl tours and get inducted into the Magaluf nightlife. There are plenty of clubs and the best way to visit them all is to buy a Magaluf Club Pass which gives you access to 5 nightclubs and it includes you being able to go to other parties such as foam parties, live acts and top DJ’s. The restaurants mainly cater for the British visitors so most of the fast food places will serve British cuisine and which will include chips with most the meals. However, Nikki Beach does have some restaurants that serve food such as sushi and seafood. 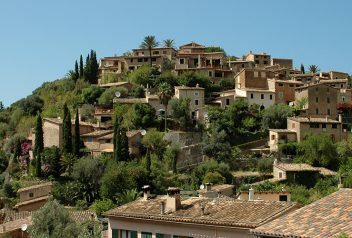 If you are prepared to travel a little you can also visit some Spanish restaurants that are in quieter parts of the town. As Magaluf was built as a resort there is no historical buildings or sites to see but when you are in Magaluf then you need to see the dinners shows that are shown every night. They make for a good evening out with the family and if you would like to see an uncut version then you can attend later in the night. Magaluf Being built to cater for tourists there are plenty of hotels to choose from. From the hotels that offer basic accommodation at very reasonable prices to the very expensive boutique hotels. These have sprung up because of the world class clubs that Magaluf has to offer.